Godrej Properties, Indiabulls Real Estate, Prestige Estates, Brigade Enterprises and DLF from the index were up between 2 to 5 per cent on the NSE. Shares of real estate companies were in focus with Nifty Realty index hitting a six-month high after the country’s first real estate investment trust, Embassy Office Parks REIT initial public offer (IPO) got good response and fully subscribed on Wednesday. At 02:45 pm, Nifty Realty index, the largest gainer among sectoral indices, was up 1.8 per cent at 264, gaining 5 per cent since Embassy Office Parks REIT IPO opened for subscription on Monday. In comparison, the Nifty50 index has risen 0.85 per cent in the past three trading days. The Nifty Realty index was trading at its highest level since September 18, 2018. In the past one month, the realty index has rallied 15 per cent, as compared to a 7.4 per cent rise in the benchmark index. Godrej Properties, Indiabulls Real Estate, Prestige Estates, Brigade Enterprises and DLF from the index were up between 2 and 5 per cent on the National Stock Exchange (NSE). Bengaluru-based Embassy Property Developments aims to raise Rs 4,750 crore from IPO. The price band for the Embassy Office Parks REIT IPO is Rs 299-300 apiece. The trust’s portfolio comprises about 33 million square feet of office space across four Indian cities, Bengaluru, Pune, Mumbai and Noida. REIT is an investment tool that owns and operates rent-yielding real estate assets. It allows individual investors to make investment in this platform and earn income. The Securities and Exchange Board of India (Sebi) had notified REIT's regulations in 2014, allowing setting up and listing of such trusts, which are very popular in some advanced markets. 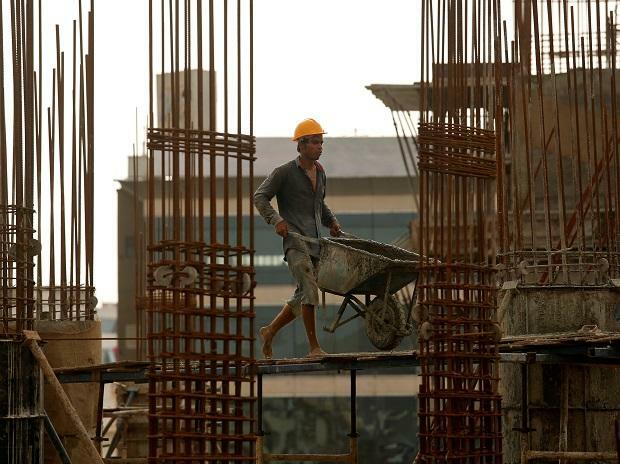 Meanwhile, according to media reports, the Goods and Services Tax (GST) Council has given developers the option to move to lower GST rates without input credit or retain higher GST rates with input credit for projects currently under construction. The contentious issue of input credit for project expenses already incurred led to a decision in favor of the developer lobby who now get to choose the GST structure on projects under construction, even as new projects registered from April 1, 2019 will compulsorily have to move to the new lowered GST rates without input tax credit. "The revision in headline GST rates will likely help lower real estate prices in high realisation markets like Mumbai and Delhi that will benefit under construction properties of Oberoi, Sunteck, Godrej and DLF among our coverage, while lower price point projects in Bangalore (Prestige, Brigade and Sobha) may want to use the benefit of transition provisions by retaining extant GST rates for under construction properties," Kotak Securities said in real estate sector update.